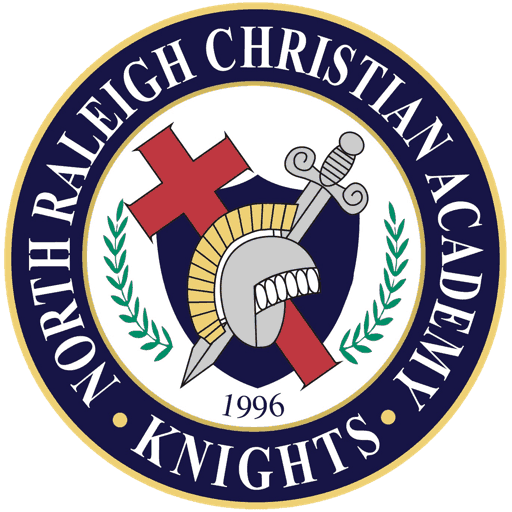 In second grade at NRCA we strive for academic excellence with emphasis on spiritual character development along with enriching the creativity in each student in a loving Christ centered environment. Core subjects include Bible, language arts, mathematics, social studies, science, and health. Through the use of a variety of teaching methods our students can be successful. Teachers use SmartBoards, iPads, visual aids, auditory aids, manipulative items, and other methods in the daily instruction. Homework is given to reinforce skills and concepts that are taught. Each week the students attend music, physical education, library, Spanish, computer, and art classes for further enrichment to the educational program. Chapel is weekly with exciting motivational speakers and music. This is always a favorite of the students and parents who are invited to attend. To complete the educational experience for each student, curriculum-related field trips, community service projects, guest speakers, and special programs are planned each year. Second graders begin learning about Bible characters in two and three-week units, focusing on character traits demonstrated throughout the Bible. Through the year students study nineteen different Biblical characters and numerous character traits. Teacher strive to emulate these traits in their daily lives and help instill these traits within the students. Character traits such as compassion, wisdom, creativity, self-control, dependability, and many others comprise some that are studied. Students also study topics such as, salvation, worship, service, missions, godly living, and how to study the Bible. The goal of our history curriculum is to instill a love of history and a desire to be loyal to his/her country as an American citizen. Our students will begin to develop a patriotic appreciation, which will grow as they see how God guides in the building of a country. We believe history is “His story” and that history facts in the Bible are accurate and show God’s love and concern as He controls the events of world history. We use the Bob Jones curriculum entitled Heritage Studies. This curriculum strengthens a knowledge of God and encourages Christian growth. It develops interest in history, geography, citizenship, economics, and culture. It presents a balanced overview of American heritage, promotes an understanding of and an ability to discern connections between key events It is organized in chronological order. Also, it builds silent and oral reading habits to further fluency. There are several units of study that cover Creation, salvation, how God filled the world with people, community life, the branches of government, responsible citizenship, Native Americans up to the Revolutionary war and the beginning of our nation. The A Beka arithmetic curriculum is used in all of our classes. This mathematics curriculum provides the student with an approach that is traditional, structured and organized. This program promotes absolute truth as created by God. The students memorize facts and at the same time learn problem solving skills. The program lays a strong foundation in math that will be very beneficial to the student as they progress in school. The curriculum is supplemented by charts, games, visuals, and flashcards. Students are given both a weekly written test and an oral facts test. Daily lessons offer not only new objectives to learn but also opportunities to review skills taught previously. The students read and study stories in literature that have mathematical themes. The purpose of studying Purposeful Design Science is to stimulate the students’ interests in science through a study of the wonders of God’s creation. Students will study units on life science (plants, vertebrates, invertebrates, and habitats), physical science (energy, heat, light), and earth science (weather and the ocean). This curriculum also stimulates the students’ desire to read and increase their comprehension skills. To further stimulate the students’ interests, a variety of hands-on experiments are included in each unit of study. Using the scientific method learning takes place through using the steps of observation, following procedures, recording data, and drawing conclusions. Our language arts curriculum has been carefully selected to provide learning skills in spelling, reading, grammar, phonics, vocabulary, penmanship and creative writing. A variety of approaches and techniques are incorporated in the teaching process to insure the best learning environment. The backbone of our grammar and writing program comes from Shurley Grammar. This curriculum achieves mastery in grammar skills through singing catchy jingles, building block learning by classifying parts of speech, and ample opportunity to apply syntax, punctuation and word usage. Second graders mature in their reading ability and develop a deep love for books through our varied reading material choices. Multiple unit studies on various books are interspersed throughout our year which incorporate history, language arts, art, research, documentation and creative writing skills. One of the reading highlights of second grade is participation in the ‘Reading Quilt’. This is an independent reading curriculum introducing the students to numerous reading categories. This goal-setting reading reward program is a very positive activity for all second graders. Our final language arts puzzle piece is spelling, vocabulary and poetry. The students master up to 20 words a week, with a portion of them being vocabulary words. All teachers integrate games, puzzles and supportive work pages to assist in the complete learning process for spelling and vocabulary. Each month students gain familiarity with new word usage and putting spelling into practice through the reading of poems.